It has been years since Immanuel Kant's landmark philosophical work, Critique of Pure Reason, brought him fame throughout Europe and made him Königsberg’s best-known citizen. Rumours have begun to surface of a new work by the ageing genius. Unlike his earlier works, this book will not explore the mind of Enlightened man, but the mind of the serial killer. Hanno Stiffeniis, a young magistrate, has been summoned to Königsberg to investigate an enigmatic string of murders. Is it part of a plot by Napoleon's spies to undermine the Prussian king or the work of a solitary, unknown killer? The case would seem unsolvable, were it not for the assistance and unmatched intellect of his mentor, Immanuel Kant. Together Stiffeniis and the elderly, eccentric philosopher must track down the killer who holds the city of Königsberg by the throat. "Admirers of quality intellectual fiction should embrace this book, with its pitch-perfect period detail and psychologically complex protagonist." - Publishers Weekly (Starred Review). "Only a killjoy would reveal the denouement, but readers can expect stunning--and thought-provoking--reversals before the last clue is deciphered." - Booklist (Starred Review). 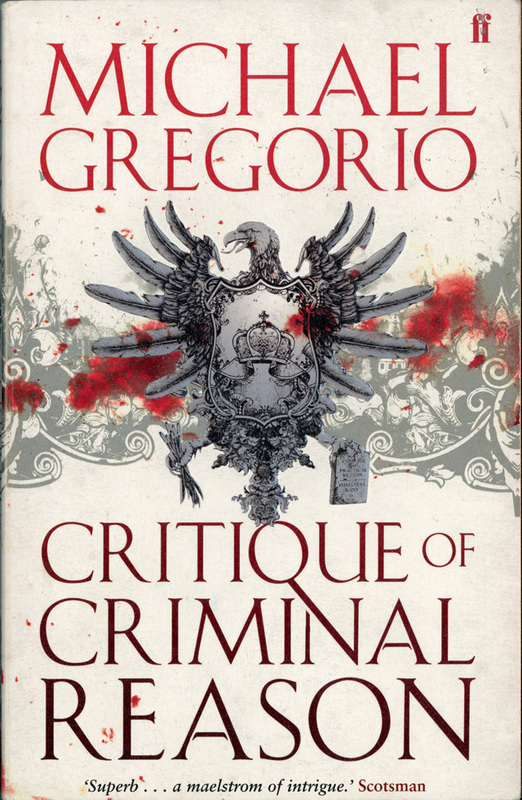 "[Gregorio's] re-creation of the starched world of nineteenth-century Prussia, the gothic crimes that take place, and the man trying to track down the killer, are refreshingly different and satisfyingly complex." - Publishing News (UK). "One of those literary thrillers that come along every year or two to provide both intellectual and visceral pleasures for readers who neither move their lips nor fear weighty concepts … an impressive piece of intellectual mayhem." - The Washington Post.